Over the past three years I have been working with the property owners and numerous tenants to assist with space planning and tenant fit-outs at Peter Jefferson Place Buildings I, II, VI & VII. 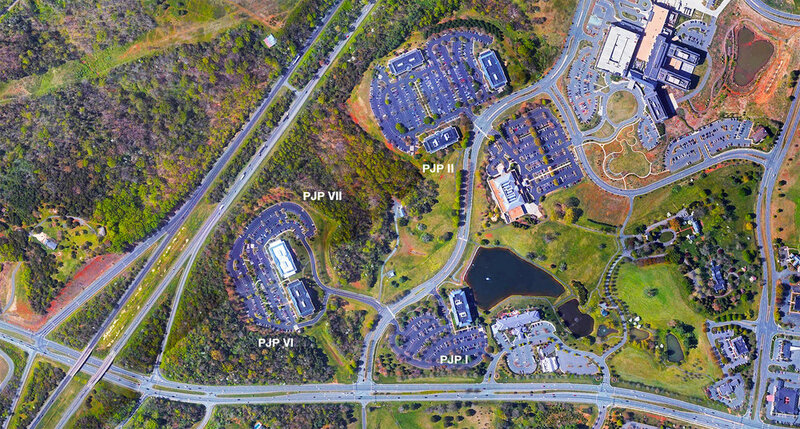 The four building portfolio is located at Peter Jefferson Place in Charlottesville which boasts a beautiful 240 acre setting, four lakes, paved jogging paths, mature dramatic landscaping and gorgeous mountain views. 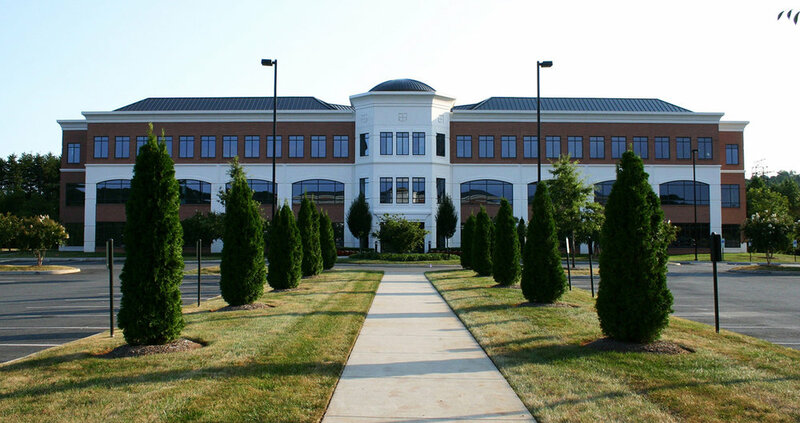 The preeminent class A office spaces total almost 300,000 rentable square feet. I provide full architectural services which may include the following: thorough and precise space planning to determine the optimal layout for each tenants specific needs, creative designs tailored to meet your company’s values, budget and aesthetic, material, product & furniture specifications, signed & sealed permit drawings, construction documents including details of specialty design items, shop drawing review and construction administration to ensure each project is built to the proper standards and quality. I’ve assisted over a dozen tenants including: The Nature Conservancy, Progressive Insurance, Teachstone, Natural Retreats, Perrigo Nutritionals, TIAA, Solovis, TLC Laser Eye Centers, Bankers Insurance and more. 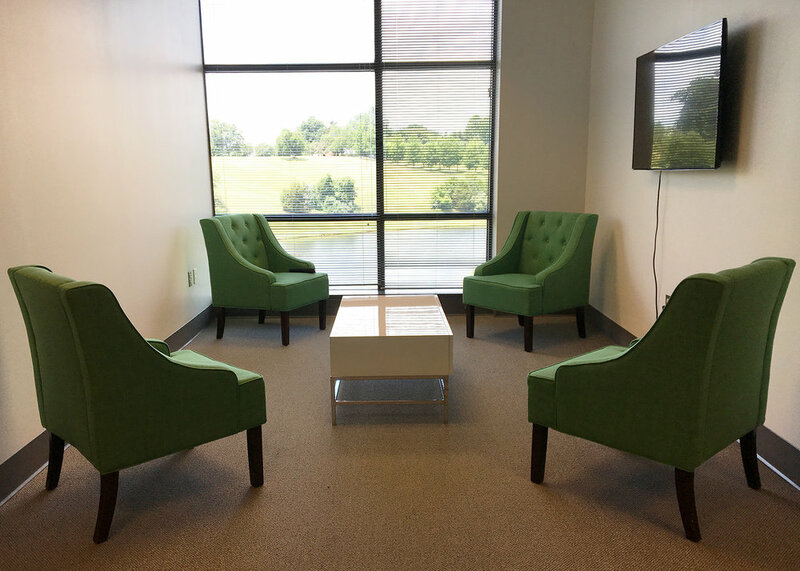 I conduct tenant fit-out design work in other office parks and buildings as well so feel free to reach out if you may be in need of assistance. THE NATURE CONSERVANCY BREAK ROOM. I WAS THE ARCHITECT OF RECORD AND COORDINATED WORK WITH MADGE BEMISS ARCHITECT. 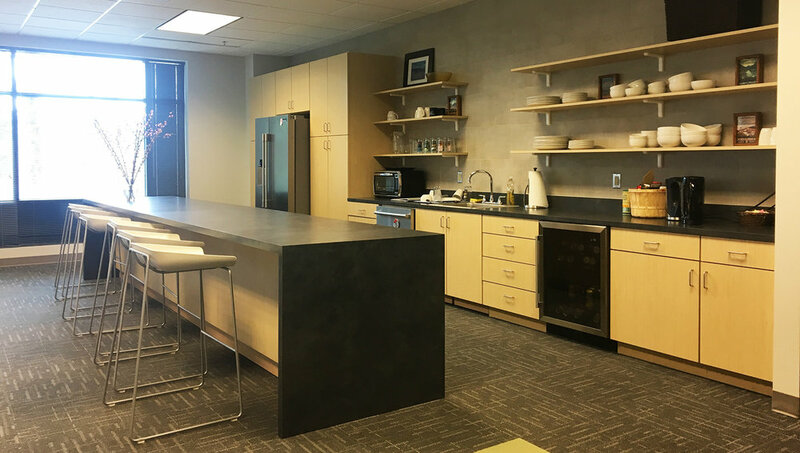 THE NATURE CONSERVANCY BREAK ROOM.